Trekkies rejoice: while real breakthroughs in warp drive design haven’t happened yet, we’re moving closer to making faster-than-light travel truly feasible. Researchers found that making adjustments to the design of a real-life warp drive first proposed by physicist Michael Alcubierre in 1994 significantly reduces the amount of energy required to power it. Alcubierre’s design called for an American football-shaped spacecraft with a flat ring attached to the ship. 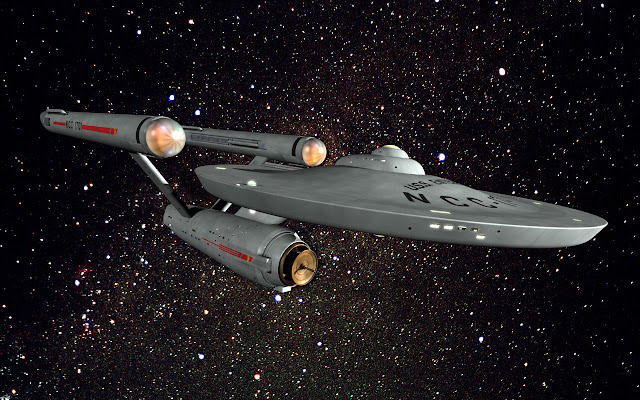 Space time would warp around it, accelerating the ship to as fast as 10 times the speed of light without the ship itself ever breaking the speed of light. This would make trips to local stars a relatively quick jaunt: a trip to Alpha Centauri — some four light years away from Earth — would take just shy of five months. 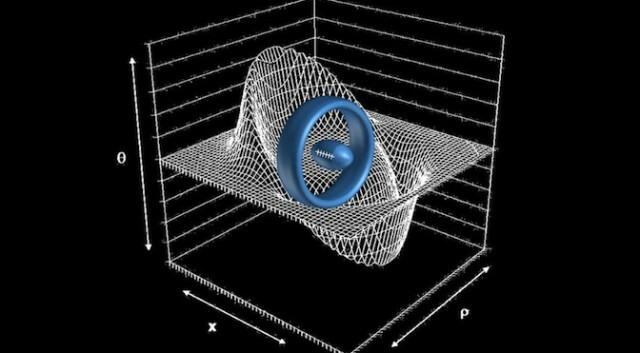 Up until now, the biggest problem was that the Alcubierre warp drive required prohibitive amounts of energy to power it. That may no longer be true, say NASA researchers. Dr. Harold “Sonny” White, of NASA’s Johnson Space Center, was able to significantly reduce the amount of energy required by altering the shape of the ring around the ship from flat to more of a rounded donut. Instead of requiring a ball of antimatter the size of Jupiter to power the theoretical warp drive, only 500 kilograms are now required, or a ball about the size of the Voyager spacecraft. White says that if the intensity of the warp bubble is oscillated, the amount of energy is reduced even more. This is certainly exciting news, but it’s important to remember that the true breakthrough — proof that Alcubierre’s designs actually work — do not exist. Dr. White and his team of researchers have set up a miniature version of the warp drive in their labs, attempting to create small warps in space and time. While certainly on a far smaller scale, White’s work may be the beginning of real-life warp drive. Here’s the thing though: antimatter is horribly dangerous. Just a third of a gram of the stuff interacting with matter in the wrong way could release energy equivalent to the Hiroshima blast. That means White’s Alcubierre warp drive still requires the amount of energy equivalent to 1.5 million Hiroshimas — enough to wipe civilization off the Earth. Regardless, if we’re ever going to reach for the stars, we need to think and do things that seem a little crazy. Dr. White seems to believe that attempting to get this to work is indeed something humanity should pursue.